Khoobsurati.com is like an online shopping mall that has a wide variety of products spread across various categories. They have products related to beauty and personal care that we girls are mostly interested in, but not only that. They do stock up men’s skin care and hair care products too. Other than that they have a good collection of jewellery for both men and women along with the accessories like sunglasses, bags, belts, watches and much more. They do have a clothing section but that mainly focuses on traditional wear and night wear same goes for the footwear section that has sport shoes only as of now though I would love to see some variety in that section. Currently they do ship for free if your order is above 450 bucks which is pretty good since at time, you just need some a couple of products which is why the amount to qualify for free shipping is pretty low. Moreover, prepaid orders can fetch you extra 5 % off your purchase. While I was browsing the site, I came to know that they not only deal with the E-commerce but they have their own you tube channel where you can find some good eye makeup, skin care, nail art and home remedies related videos. 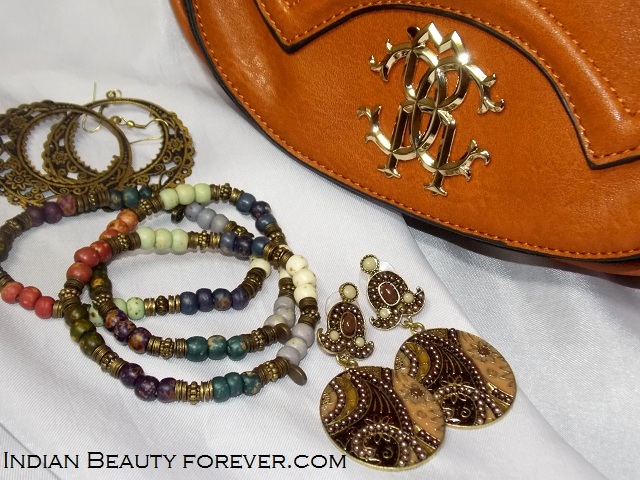 This brown sling bag and these cute earnings along with the stackable bracelets. I got my products within a day. Great!! The products were nicely wrapped in bubble sheets inside a big box. 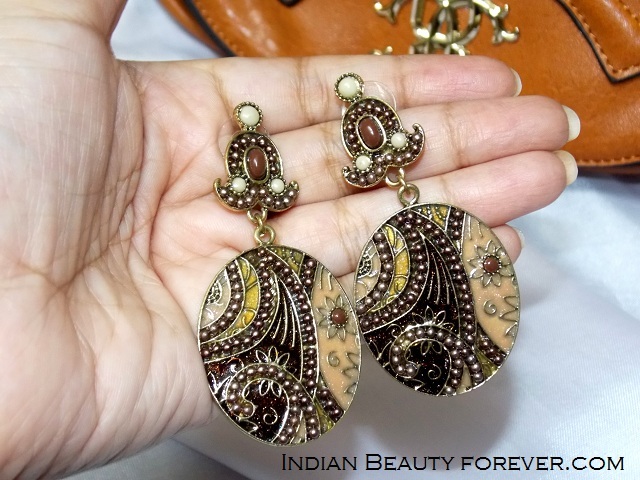 The earrings which are delicate item, were nicely kept in a plastic box which prevents any damage to the products. You can get the bag Here. I absolutely loved it. I have liked some wooden earrings which were sold out but I will purchase soon. 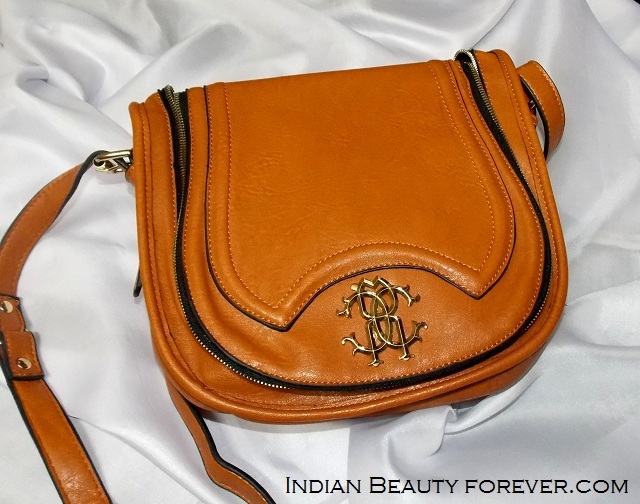 love the bag!..almost reminds me of the Roberto Cavalli insignia.. and great colour choice too..
Nice sling bag and great haul.... i hv seen the website its nice! I loved the earings <3 Lovely haul Nieshu. I haven't shopped from them yet but will definitely check out. Gorgeous haul...the bag is so nice and the earrings ...just wow. 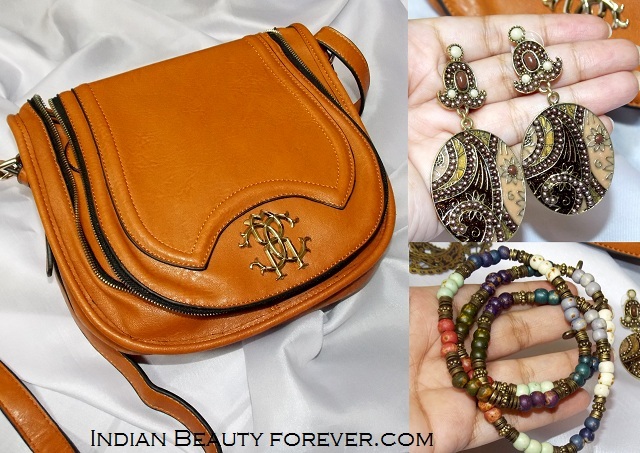 Both the bag and the jewellery look lovely!